With the objective to enforce its international position in the north American territory, Real Madrid played the summer 2009-2010 two friendly games in Canada and the United States. Two games that were included in the preseason plan made by the Club. The first game has been played on August 7th with Toronto FC at the BMO Field, totally full with more than 20.000 people willing to see the new Real Madrid of Cristiano Ronaldo, Kaká, Benzema, Xabi Alonso, Raul, Casillas, etc...and with the extra motivation to see the first game of Kaká as a new player of Real Madrid. Also Xabi Alonso, who become new player the day befor the game, played his first minutes as "madridista". The final result was 1-5 and the goals were scored by Raúl (2), Cristiano Ronaldo, Benzema and Robben. On August 9th 2009 the second game was with DC United at Fedex Field in Washington DC with an assistance of 72.382 people. Real Madrid won the game by 0-3 and the goals were scored by Higuaín (2) and Robben. The organization of these exhibition matches are a key part of Real Madrid's strategy to globalize its brand as the premier football club in the world with the agreement achieved with Multimedia Sports, one of the principle management companies of sports TV rights and specialized on football top events. 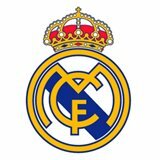 With this agreement, Real Madrid enforce its international brand's position on the north American market, which will able Real Madrid to feel closer with the millions of fans that Real Madrid have in this continent.